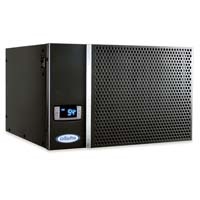 Designed and built by the same people who bring you Le Cache, the Ultra-Quiet, Vibration-Free CellarPro 1800-QT Wine Cooling Unit includes upgraded components and new features, resulting in an Advanced Cooling System that outperforms the competition in every category. Each CellarPro Cooling Unit comes with an Electronic Thermostat and Digital LED Display, allowing you to precisely set the desired temperature inside your cabinet. The Cooling System also offers Adjustable Humidity Control to easily maintain the optimal humidity, up to 70% RH, and Automatic Defrost to prevent ice build-up. In addition, the Digital Controls offer convenient Energy-Saver and Quick-Chill Modes. Comments: My old system was a Winemate that went out after 3 years unfortunatly. After extensive research I went with the CellarPro. The feature I like most was the humidity control and I couldn't find on the others. It installed into my cabinet with no problems. Was the same size as the previous model. A note that it isn't clear that if you have a back exhaust you need to select as it comes top exhaust. It is very quiet and I am enjoying the upgrade to my wine cabinet. Comments: this is a great a unit. easy to operate. I bought it because it will control the humidity and it does seem to live up to its promise.